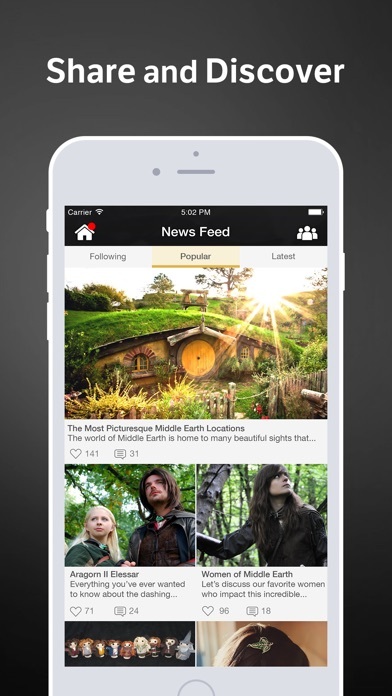 LOTR Amino is the largest mobile social network for Lord of the Rings, the Hobbit, Tolkien, and Middle Earth fans! 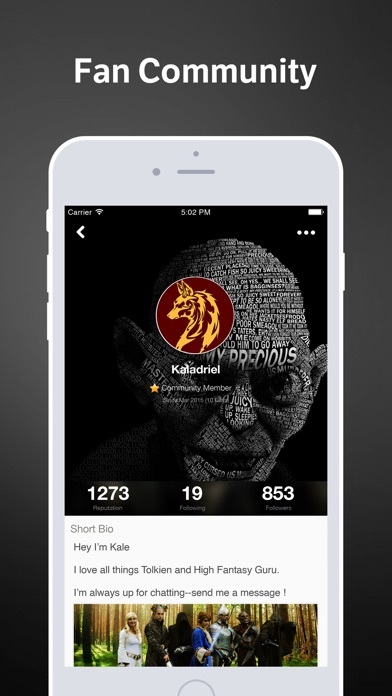 Discover other Lord of the Rings and Hobbit superfans nearby and around the world who share your passion for J.R.R. Tolkien, Bilbo, Frodo, Gandalf, Gollum, Middle Earth, Sting, the Eagles, Smaug, dwarves, elves, and ents. Post and chat about the movies and books. 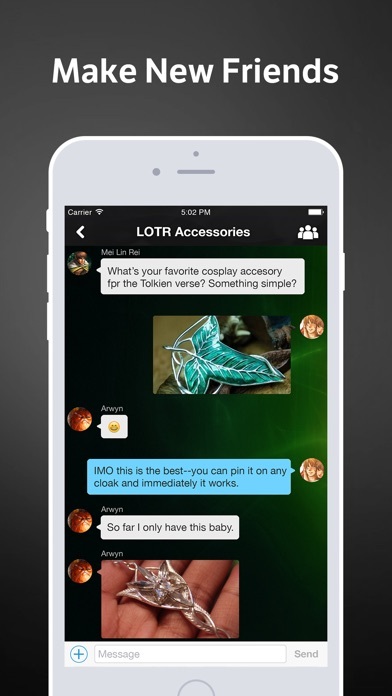 Ask and answer questions on the fly and search for expert answers on everything about Lord of the Rings, the Hobbit, and Middle Earth as a whole. If you love J.R.R. Tolkien, Middle Earth, The Hobbit, Lord of the Rings, Mordor, Mount Doom, Rohan, Sauron, Sting, Gollum, Gandalf the Grey, Gandalf the White, Bilbo, Frodo, Aragorn, Tom Bombadil, Thorin Oakenshield, the Shire, Peter Jackson, the eagles, or any other aspect of Middle Earth, this is the right community for you!